A reinterpretation of rites and symbols illuminating some of the dark corners of primordial society. 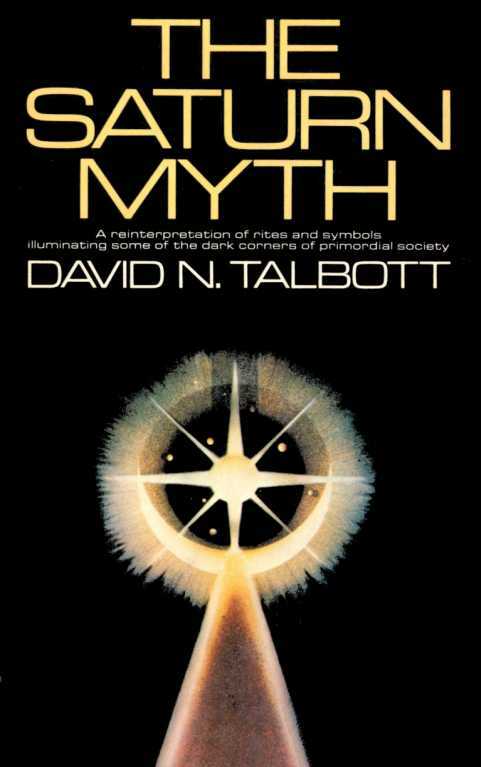 Intrigued by Velikovsky's claim that Saturn was once the pre-eminent planetary god, David Talbott resolved to examine its mythical character. "I wanted to know,", he wrote, "if ancient sources had a coherent story to tell about the planet ... I had no inkling of the spectacular tale hidden in the chronicles. In this startling re-interpretation of age-old symbolism Talbott argues that the "Great God" or "Universal Monarch" of the ancients was not the sun, but Saturn, which once hung ominously close to the earth, and visually dominated the heavens. Talbott's close textual and symbolic analysis reveals the fundamental themes of Saturn imagery and proves that all of them -- including the "cosmic ship", the "island at the top of the world", the "eye of heaven" and "the revolving temple" were based on celestial observations in the northern sky. In addition he shows how such diverse symbols as the Cross, "sun"-wheels, holy mountains, crowns of royalty and sacred pillars grew out of ancient Saturn worship. Talbott contends that Saturn's appearance at the time, radically different from today, inspired man's leap into civilization, since many aspects of early civilization can be seen as conscious efforts to re-enact or commemorate Saturn's organization of his "celestial" kingdom. A fascinating look at ancient history and cosmology, The Saturn Myth is a provocative book that might well change the way you think about man's history and the history of the universe. David N. Talbott is the founder and former publisher of Pensee, and out-growth of the Student Academic Forum which developed the book, Velikovsky Reconsidered. He is also the co-author of The Ecstasy of Sati-Ra, a cosmological mystery. He now lives with his family in Oregon. Copyright © 1980 by David N.Talbott.